“What don’t they ever sit down? The list of questions that parents ask when it comes to explaining their child’s behavior is unlimited. At DQS Healthcare Group we have a very impressive record of treating young children and teens. Unlike other therapy and counseling centers, we hire experienced child-counselors, whose primary area of expertise is that population. Young children and teens come with their own set of issues, anxieties, fears and worries, and, unfortunately, the parents or care givers are often the last to know when there is a major psychological problem. Intensive therapy is the foundation of DQS Healthcare Groups impressive success in working with troubled and underachieving children and teens. At DQS therapy is founded on the basis of relationships; relationships of trust, truthfulness, confidence and humor. When the children are willing to engage in a trusted therapist – then learning, change and growth can begin. Research shows that the brain undergoes rapid structural and functional changes during adolescence; these changes rewire the way in which adolescents process information and make decisions. There is a significant developmental gap between cognitive development and psychosocial maturity throughout adolescence that inhibits teens’ abilities to make mature decisions with good judgment in the heat of the moment. 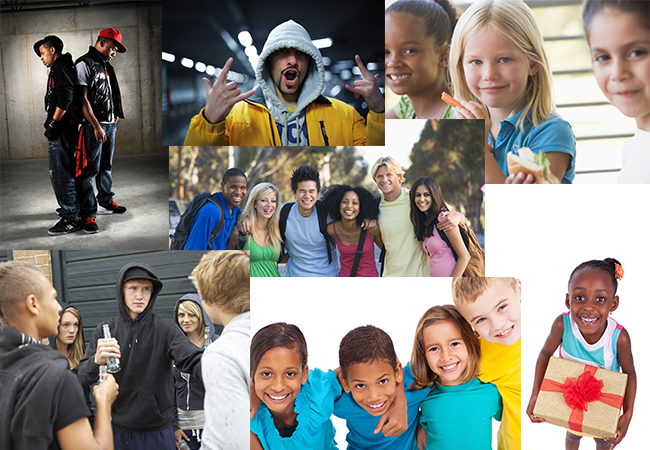 Psychosocial maturity is not reached until early adulthood, affecting susceptibility to peer influence, risk-taking and sensation seeking, and future orientation throughout adolescence. Emotional development is related to psychosocial maturity. Literature suggests that extreme emotional arousal may be associated with lack of self-control and mood regulation. According to child scholars, Steinberg & Scott, there is good reason to believe that adolescents, as compared with adults, are more susceptible to influence, less future oriented, less risk averse, and less able to manage their impulses and behavior, and that these differences likely have a neurobiological basis. Adolescence is the second greatest period of neurological development next to infancy. In fact, research shows that the brain goes through rapid structural and functional changes during adolescence; these changes entirely “rewire” the way in which adolescents process information and make decisions. Structurally, the shape and size of the brain change drastically from ages 12 to 20, especially in the frontal lobe and brain tissue. Before the frontal lobe fully develops, children use more primitive brain functioning. Before adolescence, the limbic system, or the emotional brain, uses instinctual fight or flight mechanisms to make decisions instead of higher order cognition. The frontal lobe, which controls higher order functions such as planning, thinking ahead, problem solving, impulse control, mood regulation, and reasoning, is not fully developed until the early twenties.